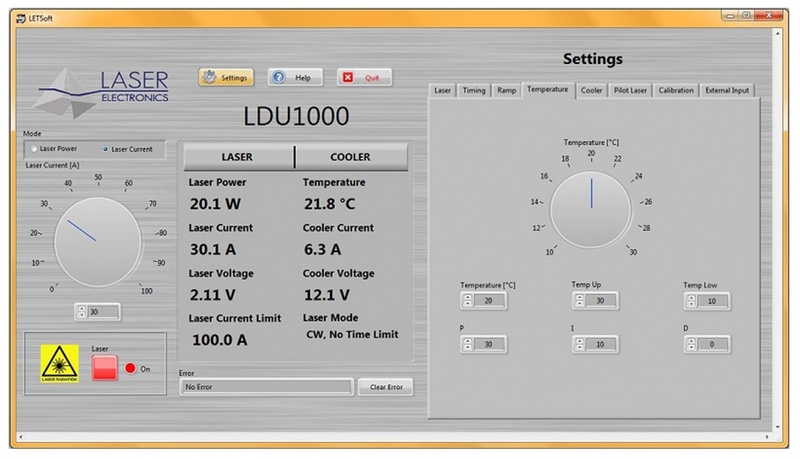 The Model LDU1000 conveniently offers both laser diode current and temperature control in the same instrument. 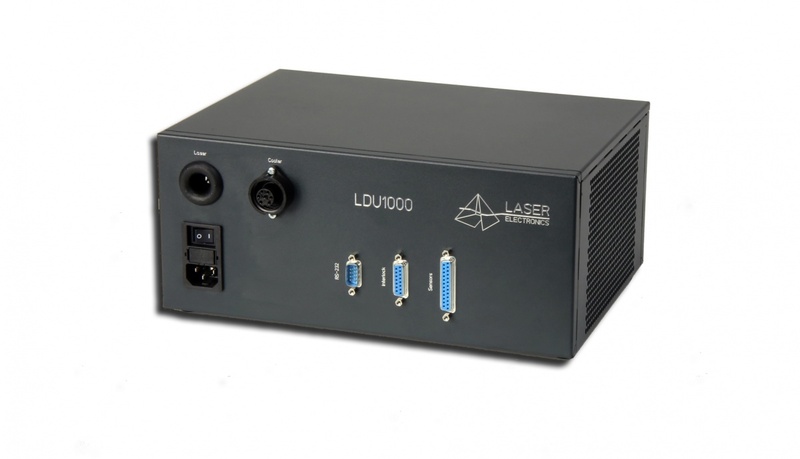 The current source provides CW or pulsed output currents to drive high power laser diodes, laser arrays and laser stacks up to 100A at max 6V. The LDU1000 includes a 600W thermoelectric cooler controller to drive suitable heat sinks.